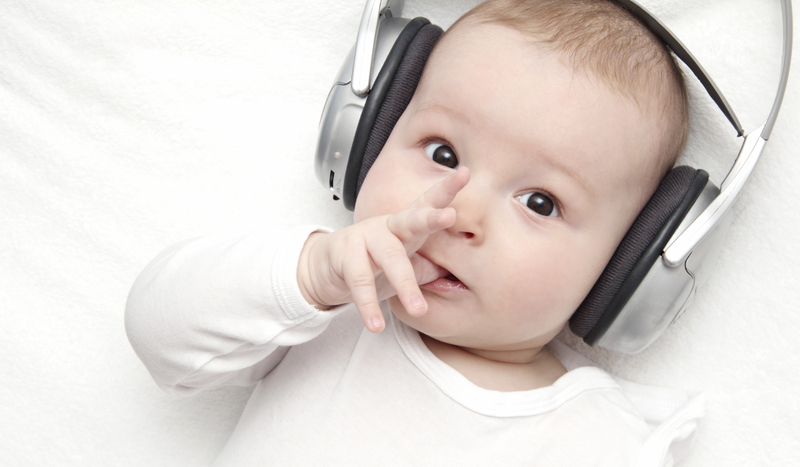 Does listening to music help babies learn faster? It's a commonly held belief that playing music for babies makes them smarter, but there has been some debate about whether or not that effect actually exists. However, new research from the University of Washington's Institute for Learning & Brain Sciences (I-LABS) adds some weight to that claim. The study, published in the Proceedings of the National Academy of Sciences, found that playing music during a series of play sessions improved 9-month-old babies' brain processing of not only music but also new speech sounds. "Our study is the first to demonstrate that a type of enriched experience with sound other than language can influence infants' speech sound processing," lead author Christina Zhao, a postdoctoral researcher at I-LABS, told CBS News. "This is also the earliest age to our knowledge that music experience has been demonstrated to have effects that extended to speech processing." The authors explain that like music, language has strong rhythmic patterns, as listeners use the timing of syllables to differentiate one speech sound from another in order to understand what someone is saying. This ability to identify different speech sounds is what helps babies learn to talk. "Infants experience a complex world in which sounds, lights and sensations vary constantly," study co-author Patricia Kuhl, co-director of I-LABS, said in a statement. "The baby's job is to recognize the patterns of activity and predict what's going to happen next. Pattern perception is an important cognitive skill, and improving that ability early may have long-lasting effects on learning." For the study, the researchers had 39 babies attend 12 15-minute play sessions in a lab with their parents over the course of a month. Twenty babies were assigned to a "music group" where recordings of children's music played while a member of the research team led the babies and their parents through tapping out the beats in time with the music. All of the songs played were deliberately chosen to be difficult for babies to learn. The other 19 babies attended play sessions with toys and no music. The families returned to the lab within a week after the play sessions ended to measure the babies' brain responses. The infants sat in a brain scanner and listened to a series of music and speech sounds, which were each played out in a rhythm that was occasionally disrupted. The researchers analyzed the scans, focusing on the regions of the brain that play a major role in cognitive skills, such as controlling attention and detecting patterns. The results showed that babies in the music group had stronger brain responses to the disruptions in both music and speech rhythm compared to babies in the other group. "This result suggests that experiencing a rhythmic pattern in music may improve the ability to detect and make predictions, a cognitive skill important to speech processing as well," Zhao said. "We know that babies learn rapidly from a wide range of experiences and we think music can be an important experience that may influence their brain development." She notes that babies seem to learn best when they are engaged in interactions with their parents -- like those in the music group in the study -- and there is not yet any data on whether passively listening to music has the same effects. Still, Zhao said the findings suggest that engaging with music can have a meaningful impact on babies' brains. "Decades of research on how and what babies learn demonstrates that babies absorb information from a wide range of stimuli in their environment at an amazing speed," she said. "We know that actively engaging in language interactions can help them learn words more quickly. And here we demonstrated that actively participating in music may be another important experience that can influence infants' brain development and help them learn."